I’ve been so busy lately, I forgot to blog about my End of July sale in EllieLeesAttic! I have items from $5 to $250 off. But today’s the last day. So sorry that I forgot to share….so, I will do a special discount coupon for my blogger friends. Just visit my vintage shop anytime during the first week in August and if you purchase one of my vintage items I will give you a 20% discount…just type in AUGBLOG in the comments section at check out and wait to pay until I have adjusted the invoice…or you can go ahead and pay and I will refund your 20% discount in a separate transaction on Pay Pal. Didn’t mean to keep my graceful readers out of the loop! Here is my latest vintage treasure that I added yesterday. It wasn’t on sale but you can get it at 20% off next week! Just remember to put AUGBLOG in the comments section at check out. 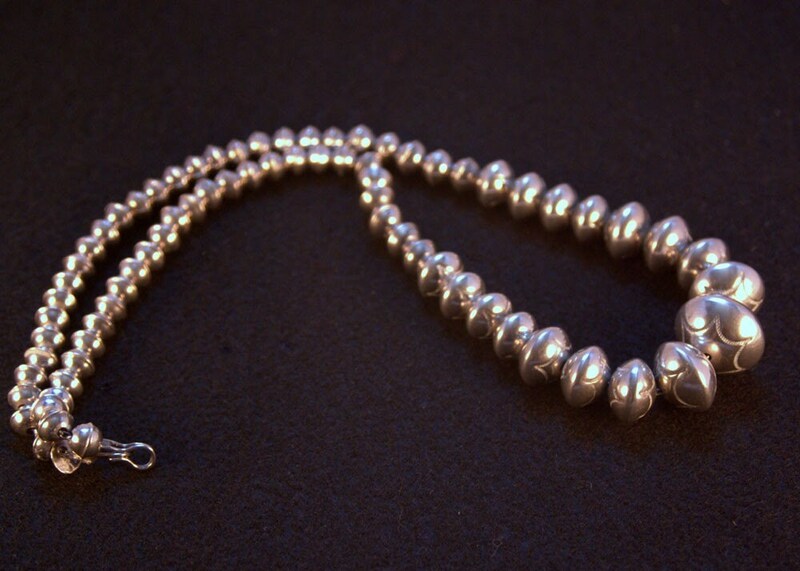 This is a vintage Native American stamped silver bench bead necklace. You can read all about it here. Be sure to stop by tomorrow for Silent Sunday!